Inside the Performance Center at Arden Hills is the areas premier sports rehabilitation and fitness clinic where cutting edge treatments are given to improve our Members athletic performance. We integrate sports chiropractic, soft tissue modalities, rehabilitation, and sports specific training to target your needs. Whether you are a professional athlete, amateur, weekend warrior, fitness enthusiast, or just someone striving to live a healthier lifestyle, we have programs to help each individual obtain their goals and reach their full potential. Dr. Alex Anders, D.C. is a chiropractor specializing in the biomechanics of the body and balancing the musculoskeletal system. 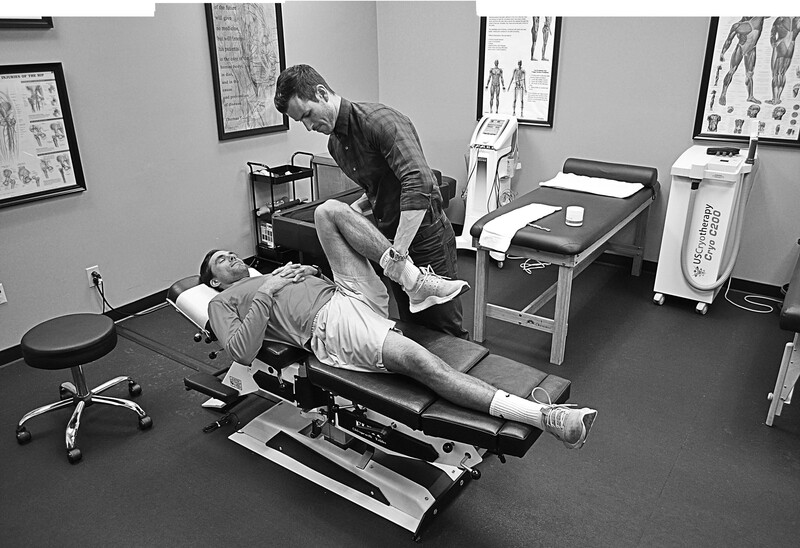 Utilizing his extensive background in sports performance and rehabilitation Dr. Anders takes an individualized whole body approach to maximize every patient’s potential. He specializes in rehabilitation, sports performance, corrective exercise, manual soft tissue therapy, and chiropractic treatments. With a passion to help others achieve their full potential, Dr. Anders continues to help educate through integrating a full body approach to healthcare and exercise. Use the tools previously only available to professional athletes. Reach out today and reduce your recovery time from days to minutes!